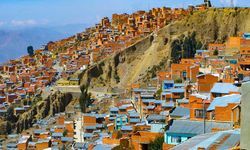 The first thing to strike visitors to La Paz is its dramatic setting - at over 12,000ft above sea level, the city sits in the Andes, spreading out from the valley floor and clinging to the mountain sides. Snow-covered Illimani mountain dominates the skyline. The streets are cobbled, the women wear traditional brightly coloured textiles and bowler hats, and the innumerable markets are eclectic, bustling and invariably fascinating. 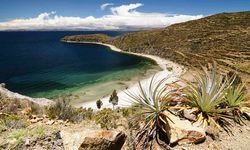 In the northwest of the country, and shared with neighbouring Peru, Lake Titicaca sits at 12,500ft, its altitude meaning that the air is unusually clear and the azure waters particularly striking. 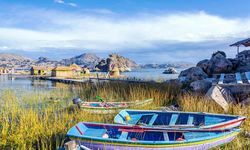 Bolivia's cultural capital, La Paz, and beautiful Lake Titicaca combine well and can even be incorporated into a longer holiday to Peru. In the capital itself, virtually every street is alive with stalls and traders selling everything from herbs and potions to obscure animal parts; the most famous being the Witches Market, uniquely atmospheric with its billowing incense, reminiscent of a similar scene in Nepal. Outside La Paz, the mountains provide plenty of adrenaline sport opportunities, from skiing to mountain biking. 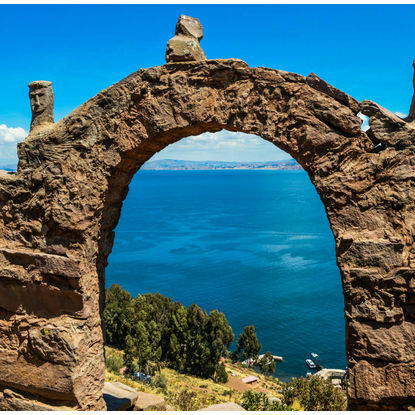 At Lake Titicaca, the Peruvian side may boast the floating islands of the Uros tribe, but the Bolivian side is well worth exploring on your holiday, in particular the fascinating islands of Isla del Sol and Isla de la Luna, which are dotted with ancient Inca ruins ripe for exploration. 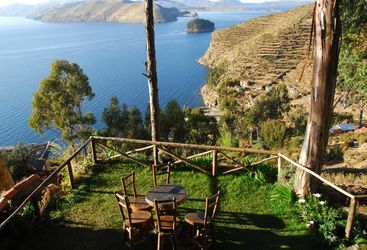 Isla del Sol, believed by locals to have been home to the supreme Incan god Inti, is the largest of the Lake's islands. 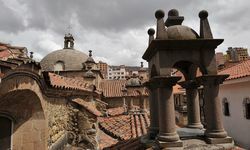 During the Incan era Isla de la Luna was home to women known as 'Virgins of the Sun', who lead nun-like lifestyles, weaving their own clothes and performing ceremonial dances to the sun. The island is scattered with Incan ruins and sacred sites and the charming Posada del Sol means you can spend the night on the island rather than making the rather lengthy day trip from Copacabana. From Isla del Sol, it is just a short hop by boat across to Isla de la Luna. 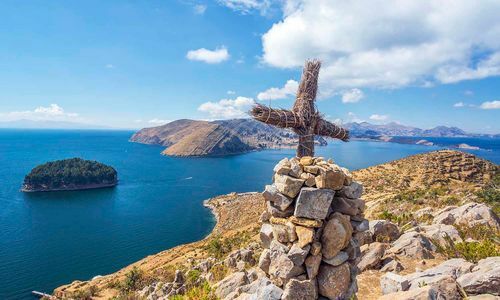 Less visited than it's neighbour, this tiny island is regarded as the birth place of the Inca Goddess Mama Quila and was once home to the 'Virgins of the Sun.' You can still visit their crumbling old convent as part of a trip to the island. Take a walk around the enchanting city of La Paz. Amble up to the fascinating Witches Market, located in the city centre, where you can sample potions, spells and seek spiritual advice. 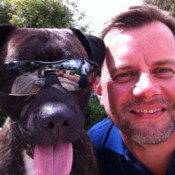 Just don't take a photo… unless you want to be cursed! 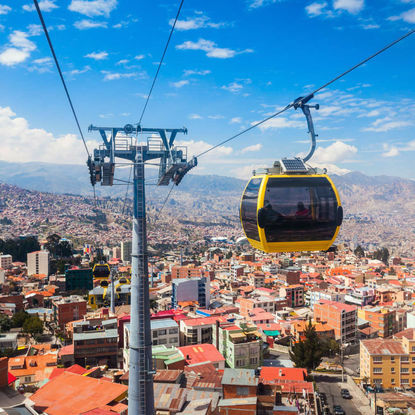 Ride the Mi Teleferico, the world's highest cable car, up to neighbouring El Alto, for spectacular bird's-eye views of this sprawling metropolis. 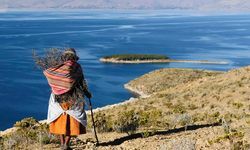 A three-hour transfer from La Paz takes you to the ancient Lake Titicaca, the largest freshwater lake in South America. At 12,500f feet above sea level, it is also the highest of the world's big lakes. From here, you'll visit the monumental Tiwanku ruins, listed as a UNESCO world heritage site since 2000. 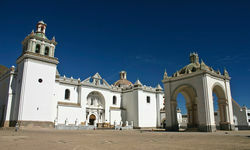 Admire pre-Columbian architecture including palaces, pyramids and giant monoliths. 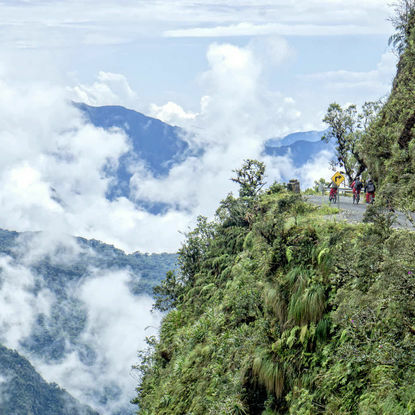 Not for the faint hearted, the four to five hour downhill cycle ride on the challenging Yungas road is perfect for thrill seekers. As you wind along steep mountainsides and cliffs, just remember to be careful on this remarkably busy and narrow road (it's only 10ft wide). 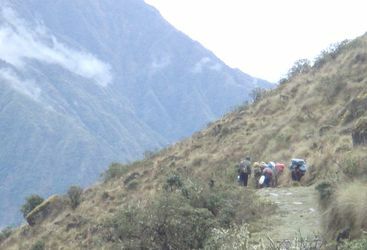 During the 12,500ft descent cyclists will pass everything from snow-capped mountains down to lush Amazonian jungle. 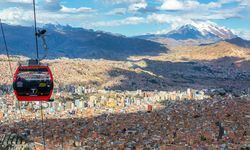 Bolivia is all about the experience - but despite the lack of flashy hotels and fine dining, it is isn't as cheap as you might think. Most people visit Bolivia alongside Peru or Chile, as flights from Europe into Bolivia aren't very regular. 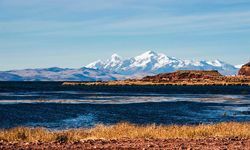 A two week trip combining Bolivia with one of it's neighbouring countries would start from approximately £3,500 per person, and almost everything would be included as part of your package .